With few months left be­fore political activities gather steam towards the 2019 elections, members of the Atiku Support Group (ASG) nationwide have decamped from the ruling All Progressives Con­gress (APC), to the People’s Dem­ocratic Party (PDP). The Director-General Ati­ku Support Group (ASG), Hon­orable Mark Wosi, disclosed that the change was inevitable as a re­sult of the irregularities going on in the APC from the state to the nation­al level. Wosi maintained that the group has decided to go back to the PDP in order to “change the change. I am highly disappoint­ed in the APC. I expected mature, coordinated politics from the rul­ing party, but I am disappointed,” he said. He noted that President Mu­hammadu Buhari is not a good leader. “Buhari is telling people he is fighting corruption, while he is surrounded by the corruption he is claiming to fight. Nigerians are beginning to doubt his integrity, he should be serious at his age,” Wosi said. The DG added that, “it is very unfortunate that Nigeria’s hope has been dashed; if things con­tinue like this, we are doomed,” he concluded. 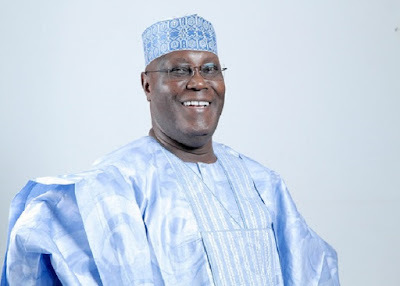 On the former Vice President, Atiku Abubakar’s position on the decamping to PDP, Wosi said that “as a group, the ASG cannot speak for Atiku, but as his supporters, we are calling on him to come and contest on the platform of the PDP, a party which he was among the founding fathers. The DG disclosed that 2019 is going to be a very wonderful year politically, as there is going to be a contest between two prominent Northerners; Buhari and Ati­ku, with the southern part of the country throwing her weight be­hind Atiku and the North sharing her votes between the two, while Atiku will lead with 65%. He therefore called upon all members and supporters of the ASG to be patient, embrace peace and spread awareness about the group.